The trial in the case of Timur Tumgoev, a native of Ingushetia from the Prigorodny district of North Ossetia, extradited from Ukraine, may begin in April 2019. This was reported by a source close to the investigation. 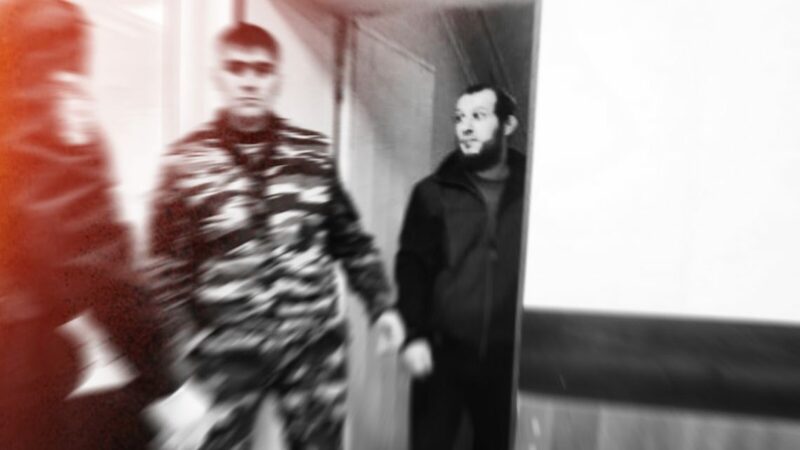 On February 27, 2019, the Supreme Court of North Ossetia-Alania extended Tumgoev’s detention until May 12. According to the relative of the arrested, the judge intended to declare the court hearing closed, but at the insistence of the defence, the wife of Tumgoev and other family members were allowed into the court room. “The children were not allowed into the room, the elder sister had to stay with them,” said a relative of Tumgoev. According to her, the court has rejected the petition of a lawyer to release the arrested under the house arrest. “The judge refused, said that Timur could leave the country …. Timur had asked: “How can I leave if my passports are with you?” They said that you can take a duplicate. As a result, they refused and extended (the term of detention), ”said a relative of Tumgoev, who was present at the trial. She noted the unhealthy appearance of the arrested. According to a source close to the investigation, the arrested accused of charges as defined by three articles of the Russian criminal code. These are: part 2 of art. 208 – participation in an armed formation not stipulated by federal law, as well as participation on the territory of a foreign state in an armed formation not provided for by the legislation of this state for purposes contrary to the interests of the Russian Federation; art. 205.3 – the person to undergo training, knowingly for the person that it was conducted in order to carry out terrorist activities, as well as part 2 of art. 205.5 – participation in the activities of an organization that, in accordance with the legislation of the Russian Federation, is recognized as terrorist. Two of them provide for punishment of imprisonment up to twenty years. The investigation claims that Tumgoev was in Syria in 2014 – 2015, he himself categorically denies the charges. The source confirmed that the case involved at least one witness who testified against Tumgoev in 2015. At the same time, the interlocutor did not rule out that there could be more witnesses. “No one has seen these witnesses yet, and since Tumgoev does not testify …, it is impossible to refute what the witnesses say,” he said. Commenting on the detention conditions in the FSB SIZO [remand prison of the Federal Security Service] in Vladikavkaz, the source noted that the detainee has the opportunity to go for walks and pray, he was granted a meeting with his wife and children, care packages are accepted. “There is no torture there,” he added. Timur Tumgoev was extradited by the Ukrainian special services to Russia at the request of the FSB through Interpol in September 2018. The report on the extradition of Tumgoev provoked a protest and an attack on the building of the Prosecutor General’s Office of Ukraine by members of the volunteer units of the Ukrainian army. A commission was established to investigate the circumstances of the extradition of Tumgoev; so far nothing is known about the results of its work.